Place hurdles in a stack of up to 10 on the track. Tilt the stack and slide the hurdle cart underneath. Pull the hurdles back toward you. 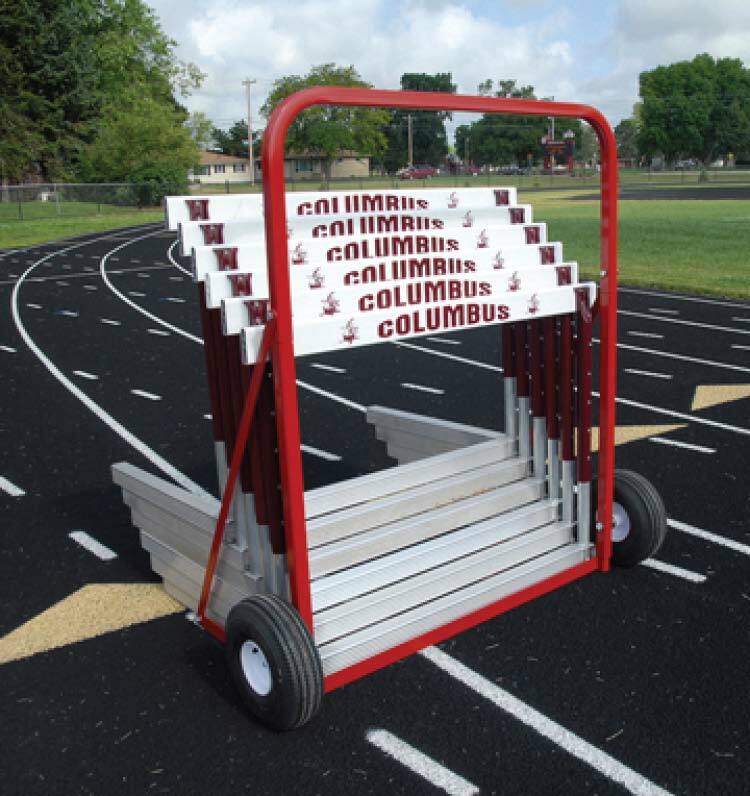 The hurdle cart will tilt on to its wheels ready to roll. Steel construction, 2-pneumatic wheels.